It did take some time, and I do apologize for the silence on this blog. I was busy working on the last editing cycles of my new book on beetle breeding. And here it is: 5 years of work, 208 pages, 349 pictures, and loads of breeding information. It’s in German, but I think it might be enjoyable for Non-German speakers because of the many images. My friend Kay has contributed some interesting sections on rearing world record sizes in stag beetles, and the history of breeding beetles in Japan. I hope you will enjoy this book, as much as I did enjoy writing it. You can buy copies directly from the publisher – Tetra Verlag. There’s a preview and some discussion about it with Daniel Ambuehl and me on Youtube, if you want to see some of the content. And see a male of Kirchnerius guangxi, a fantastic species, which I am breeding now. 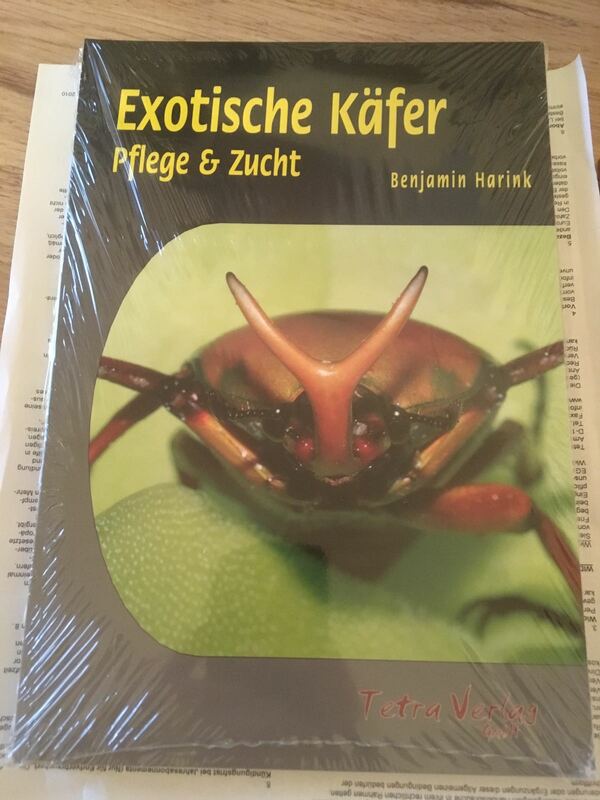 The Title of the Book is “Exotische Kaefer – Pflege und Zucht” by Benjamin Harink. Hope you enjoy it.